Are These Lights the Future of Bicycle Safety? Bicycle safety is a hot topic right now. There has been an increase in the number of people riding bicycles, especially in major cities. And among that increase there has also been an increase in bicyclist deaths shown as noted by the GHSA’s Spotlight on Highway Safety: Bicycle Safety. Bicycles have always been, and always will be an efficient and convenient, eco-friendly way of getting from one place to another. But, unfortunately, if dangers on the road are increasing, less people will feel comfortable taking their bikes out to ride. That’s why it’s incredibly important to find ways to make riding a bicycle more comfortable and safe. One particular company called CYCL has created a unique safety product for cyclists that they hope will change the future of bicycling. The product, WingLights, are indicator-like-blinkers that can be mounted on handlebars to allow visibility from over 10m away. This gives cyclists a larger presence on the road, helping drivers to see them and reducing the risk of accident. “With 75% of the 19,000 bicycle accidents a year in the UK occurring at road junctions ,and 57% of those accidents as a direct result of the driver not seeing the cyclist , new business entrepreneurs, CYCL, have identified a safety need which they felt compelled to address,” the company states in their press release. WingLights were created to make the world’s roads a safer place for cyclists. With hand signals, often times accidents can occur. WingLights provides similar automotive signal lights so that a cyclist can not be ignored on the road. They are easily attachable and detachable and are very affordable. 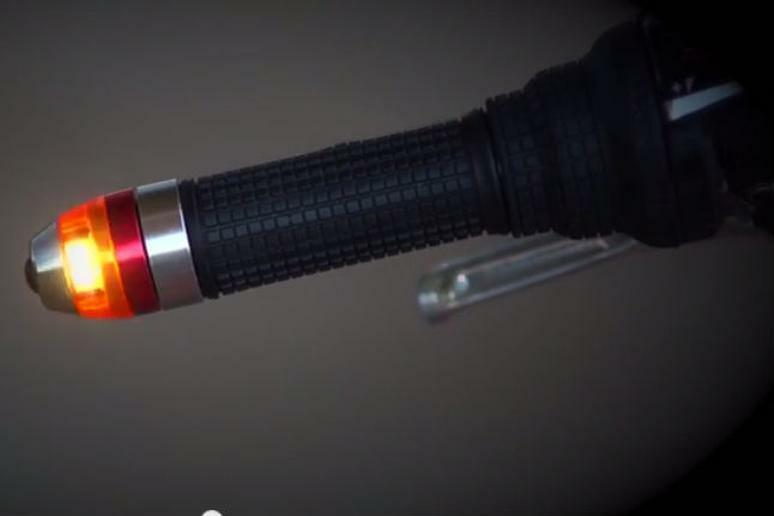 With a simple tap the blinker light goes on, without adding any discomfort to the rider. This tiny product could revolutionize bicycle safety. By adding safety elements to a bicycle, such as lighted blinkers, the roads become safer, and therefore the cyclist becomes safer.